Daniel Jarman was born February 26, 2008. He is 9 years old and is currently a 4th grader at Howard R. Driggs elementary. Daniel was born jumping! He has always loved to flip and jump and when he started doing flips and back handsprings by himself as a 6 year old, we decided he needed to be in a class! We started him at Wasatch Tramp and Tumbling in 1st grade and he loved it immediately. He has excelled very quickly, and soon began competing. 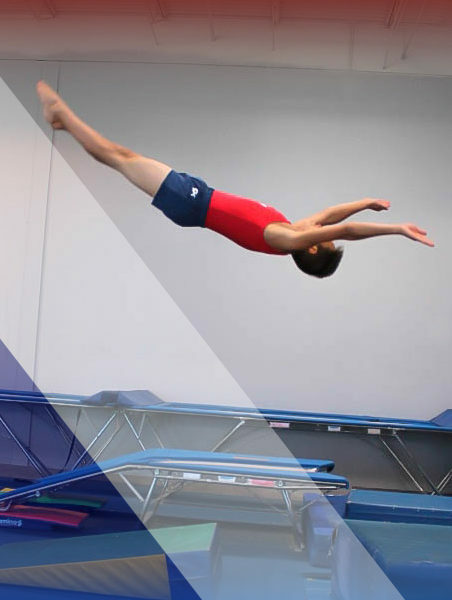 He started competing as a level 4/5 in 1st grade and is currently competing tramp, tumbling and double-mini in level 10 as a 4th grader! He has competed in Nationals the past 3 years and has received a gold medal in tumbling all 3 years, as well as first place in State and Regionals in tramp and tumbling. Along with tramp and tumbling, Daniel enjoys skiing, playing with friends, playing baseball, and basically anything that keeps him active and busy! He loves ice-cream, pizza, and loves watching movies with his family while having milkshakes!